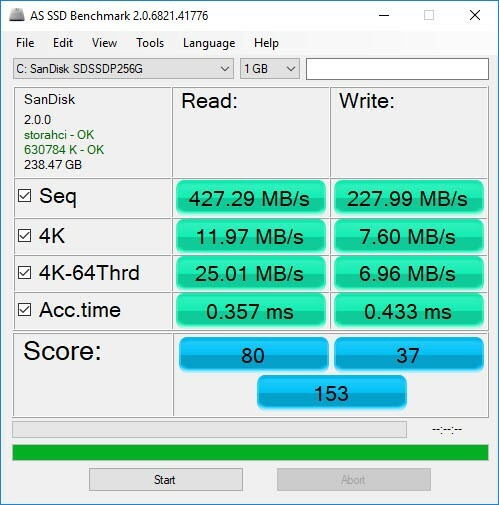 I have a SSD in my rig and have enabled ACHI but seem to be gettign slow speeds when it comes to the 4K-64Thrd and the ACC time, see pic attached. It also is coming in as a low score, Windows 10 is running it. the speed is not all that slow actually. this is an entry level drive not a high performance SSD. you will need to get a replacement however. The SMART failure is indicating there are no spare blocks left. backup your data and submit an RMA request. 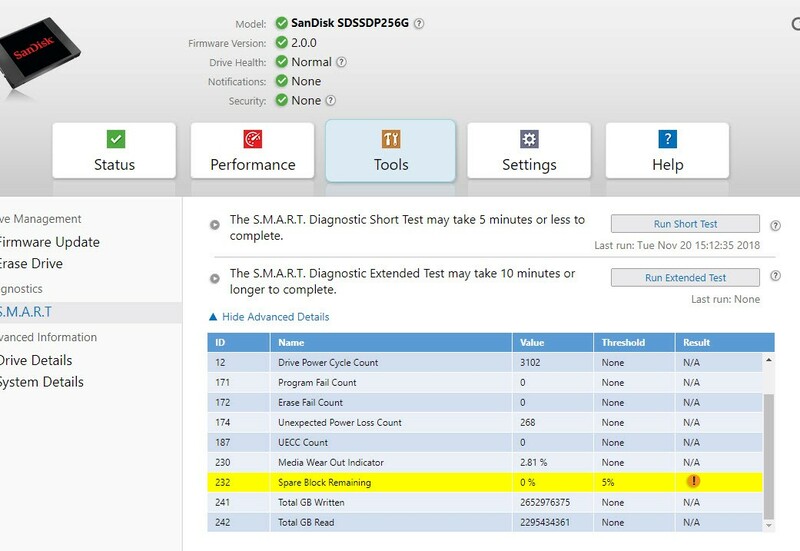 if it is still under warranty sandisk support will replace it.